All-grain home brewing takes time… a lot of time. We’re not going to pretend like a good batch of beer isn’t thanks mostly to the artist that is the brewmaster, but at the same time it’s pretty amazing to see a compact system like the one above that can boil a batch of wort without much help from you. 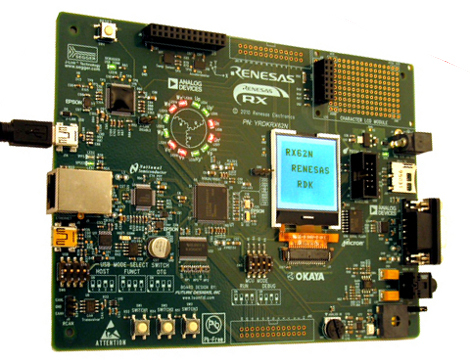 [Zizzle] built this machine as his entry in the Renesas contest. You can see the development board there just to the left of the brew kettle. It’s network connected with a web interface that allows you to take recipes from Brewtarget and import them directly to the system. All you need to do is make sure that you load up the grain basket and boil addition modules to match your recipe. 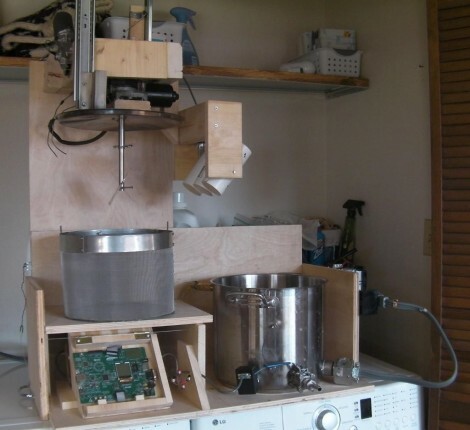 The bot takes it from there, filling the kettle, preheating that water, lowering the grains and maintaining temperature for the mash, and completing the boil with additions from the servo-controlled PVC pipe pods. Experienced brewers will notice a few steps missing, like the sparge, and a quick way to cool the finished wort. But this does take a huge part of the drudgery out of our hands. If only it had a clean-in-place system… then we’d really be happy! Don’t miss the video after the break and take a moment to check out the build-log posts. We asked for responses to our last Development Board post, and you all followed through. We got comments, forum posts, and emails filled with your opinions. Like last time, there is no way we could cover every board, so here are a few more that seemed to be popular crowd choices. Feel free to keep sending us your favorite boards, we may end up featuring them at a later date!